Parish Registers, Memorial Inscriptions, Wills, Workhouse Records, Monmouthshire men in the armed forces, Crime & Punishment, Mining Disasters together with 17th-18th Century Manorial Records are just some of the projects we are working on at the moment. Our aim is to make MonGenes the first stop for Monmouthshire Family History Research. 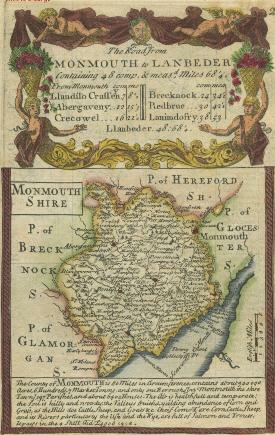 Our associated MonGenes Group is for the discussion and research of Family History in the County of Monmouthshire, Wales. You can post enquiries, upload and download photographs & files, and our Members' Surname Interest Database will be updated with your interests when you join the Group. Our aim is for mutual, friendly and cooperative group to establish a sustainable and free resource. Join the MonGenes Group here . . .
To safeguard both the MonGenes Website and MonGenes Group contents there are multiple owners/moderators for continuity. This website is best viewed in Chrome, Firefox or Safari browsers. The owners of Mongenes gratefully acknowledge permission to use copyright material on this web site. Copyright holders are acknowledged on the page containing the individual copyright item. Every effort has been made to trace and contact copyright holders. If there are any inadvertent omissions we apologise to those concerned, and ask that you contact us that we can correct any oversight as soon as possible.